Tired of hearing about Vancouver’s affordable housing crisis? So is the City of Vancouver. In an effort to take on affordable housing issues in Vancouver, the Mayor has put together a task force. And, if the results of the task force’s recently released report are any indication, then the Vancouver development industry might be in for some changes. 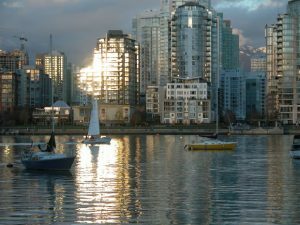 According to an article in The Vancouver Sun, an interim report released by Mayor Gregor Robertson’s task force seeks to address affordable housing issues in Vancouver. The report advocates for the City of Vancouver to insert itself more deeply into the development industry. Some of the proposals include creating a city-owned “housing authority” to buy and develop land for affordable housing, setting up a community land trust, and forming a “community-based financing agency”. According to The Vancouver Sun, the report also suggests adding ”transition zones’ that “scale down from high density housing around transportation and transit bus, allowing for more laneway houses and secondary suites”. While the report won’t be considered final until the fall, it is a tell-tale sign that big changes could be on the horizon for the Vancouver development industry!